Of course, I’m talking about the dreaded teen years. But, you know, they don’t have to be that way: dreaded, that is. There are things you can start doing NOW to lay a foundation for a fruitful and yes, even enjoyable, stage in the parenting journey. At first glance, this simple art may not seem like a big deal, but taking the time to actively listen and engage in conversations with your little ones is definitely laying the foundation for future conversations. If you’ve found their chatter irrelevant for the first 11 years of their life (and, believe me, they can tell! ), it’s going to be a whole lot tougher getting them to open up when the stuff starts gettin’ deep just because you’ve decided that dialogue is now important. Spend time doing things your kids enjoy. Building Lego forts and having tea parties may not be your idea of a good time, but those simple acts go a long way to show your little ones that they’re valued. Include them in doing things that you enjoy…baking, crocheting, going for walks, etc. Sure, it’ll slow you down a little, but you’re building a foundation for your future relationship. It’s worth it. While rescuing our children from unpleasant consequences might seem that we’re doing them a favor, in the long run, we’re seriously short-changing them. Kids need to understand that we’re not always going to be there to save the day. And what better time to learn that than when they’re young and the consequences are likely to be far less reaching and detrimental. In all our getting obedience from our kids we have to very careful to ensure that we don’t lose their hearts. Outward obedience is nice, but if we’ve alienated their hearts, we’ve failed. Discipline and correction can be handled without shaming and belittling. And, if you mess it up, a sincere apology (without excusing their actions) will go a long way in showing your child that you value them. Sure, we’ve mentioned understanding the “actions=consequences,” aspect of responsibility, but it’s equally important that our kids understand that they have a responsibility to their families. Households don’t run themselves, but kids won’t know that unless we take the time to teach them that everyone pitches in to do their part. Even toddlers are capable of helping put away their toys. Preschoolers can empty small trash cans and put away folded clothes. You can decide what responsibilities are age appropriate, but have them doing something! Talk to your kids about the roles that the adults play in keeping things going in your house. They need to know that responsibility requires things being done whether we feel like it or not. Parents go to work even when they’re tired. Meals are prepared and clothes are washed even when we’d rather sit on our bums and watch TV. 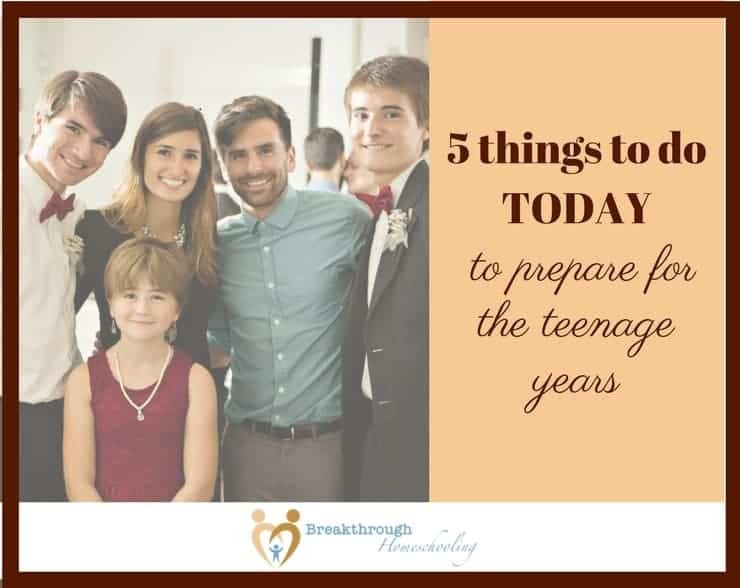 This ongoing conversation does a lot to help the kids understand the important part they play in the family dynamics, paves the way to transition into more responsibility as a teenager, and will eventually be a huge blessing to their future spouse, kids, and employers/employees. Of course, instilling these principles in your child’s heart does not guarantee a life of making smart decisions on their part, or a close relationship between you both. But it does lay a solid foundation from which they are better prepared to face life well-equipped. And it also makes it more likely that you can both enjoy the teen years…together. You’ll be able to sleep soundly, knowing that you did ~ and are doing ~ the best you can in the most important role you’ll ever have! Are you a parent of teens? Or are you on “the other side” of parenting, with adult children? What else would you add to this list? Share your wisdom with us! How true. Maybe I’m more acutely aware of the link between toddlers and teenagers because we spend time with a teen-aged aunt regularly, and I’ve watched her grow since she was 4. I definitely see the link between how she was parented as a small child and how she acts now. And I see how she acts now affects my toddler! Sadly, I think this awareness has made me too tight on the reigns….Pray that I find the right balance! I have a preteen and a 6 year at home plus 3 teenage and 2 adult step children who visit often. I have let them all know growing up that it matters most that they are whole heartedly good people to themselves and others and never stop trying to succeed in whatever they want to be or do. 15-16 seems to be the hardest to deal with just because they always seem to think its just them and nobody understands but as they get older, if you reassure them they aren’t alone and can talk to you it gets much better. Excellent advice, Kristina! 15-16 is a tough time for some. My oldest son really struggled during those years. Thankfully, my 2nd didn’t and my 3rd, who is smack dab in the middle at 15 1/2, seems to be doing well. Praying that my preteen will do well. My husband and I are definitely laying the best foundation we can, but sometimes we fall short. And, of course, ultimately the kids make their choices. Honestly, Brittany, you’d have to work pretty hard to do that! LOL But seriously, those years will FLY by (and yes, I know you’ve heard that before, probably ad nauseum!) Keep your “end game” always in the forefront!! Thanks for stopping by! Good words, Candy. With two 11 year olds I feel like we’re seeing what we “should have” done better and are more on top of relationship building now that we realize how short our time with them really is! I appreciate your balanced perspective on obedience and relationship. There is no benefit to sacrificing either in favor of the other. Thanks, Abi! And, you’re right, our time with them certainly is short. So glad that you’ve made changes that will build relationship. Oh, how I wish I’d figured that out sooner with my oldest. But, God is merciful and knows our hearts even when we fall short and I’m thankful to say that things turned out fine and we have a great relationship now. Our children are 16, 14, 12, 7, 5, 2 and a new baby and you have written a wonderful post! What you say is true about spending time and listening to what they have to say as well as teaching them to work along side of you will mean that as they grow you’ll have created a respectful and loving bond. We have found that we feel more like guides now with our older children and have the greatest times together of prayer and fellowship in the Lord. Praise God for His wisdom and goodness and ask Him every day as you parent for it. Thanks for the encouraging post! I love this, Jeannie! What a wonderful testimony you have. 🙂 “We have found that we feel more like guides now with our older children…” Exactly! I’d never thought to word it that way, but you definitely hit the nail on the head. I hope you’ll continue to join us here as we share the insight that God has, through time (ok, AND age), given us. I’m certain that you’ll have wisdom to share and that your comments will be a blessing and encouragement to many. Thanks for the advice – something I need to think about! We now we need to think about the future, but sometimes it’s so much easier just to deal with the now. Thanks for sharing with the #BlogFair, hope you can visit again this week. Totally agree…Much easier to deal with the now! 🙂 Unfortunately, the “now” becomes the past much too quickly, doesn’t it? The active listening part is really hard for me. I have an 11 year old that loves to talk and two little toddler boys who love to get into trouble. I’ve started planning dates just for us and taking her to run errands with me. I still need to make time to just sit and talk with her about whatever she wants. Today is the best time to start, right?! Thank you for sharing! Girl, I know! Active listening is so hard some days. The dates are an excellent idea! Pat does that with her kids. I wake one of mine early every morning so we can have one-on-one time and always spend intentional time with another just before bed. And then, of course, we do need to teach them that it’s not all about them and sometimes conversation has to wait. Parenting is like this super crazy balancing act. Sometimes we’ll get it right and sometimes we won’t, but at the end of the day if they know we love them and we’re doing our best, I think we can call it a success. Blessings to you on your mama-ing journey! Here via the Learning Kid Linkup. 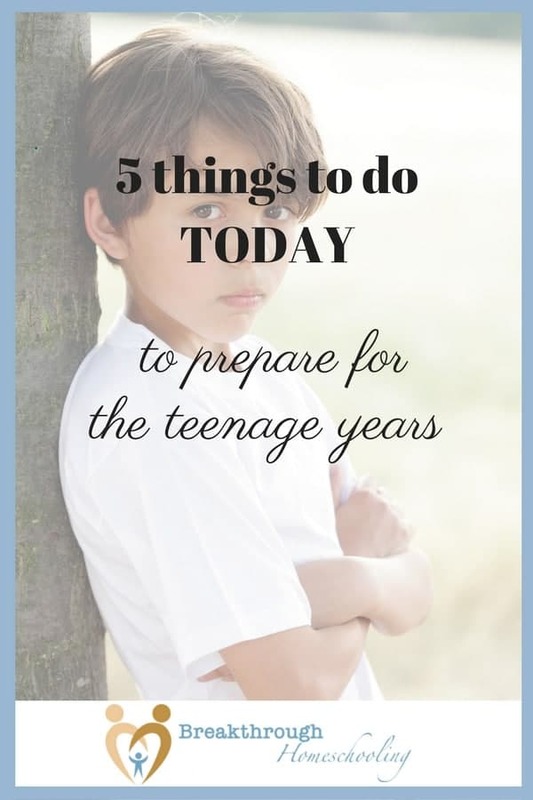 We’re still awhile away from the teen years, but this is great advice.